Blog Home > Life Hacks > The Art of Storytelling: What are the Benefits? The Art of Storytelling: What are the Benefits? Storytelling is an integral part of our everyday life. Before we take a pen to put all of our thoughts on a piece of paper, we memorize a bunch of stories and make sure to transfer them to the ones around us. Unfortunately, today the storytelling got lost among many businesses. Instead of talking for long enough to produce a hot and captivating story, the majority of individuals prefer PowerPoint presentations crammed with jargon, pictures and various facts. That is how laziness (PowerPoint) is slowly killing timeless traditions of human beings – an ability to tell the hooking stories! Let’s ravel through three basic reasons why storytelling is one of the bricks of the solid start-up success! Taking into consideration the fact that the stories are memorable, they are also really easy for the viewers to re-tell in the nearest future. In other words, if you tell your viewers a hot story, they will most likely be able to discuss the details of your business with solid evidence and more clearly. This is a crucial aspect in the world of start-up especially. Potential customers and professional investors will be in need of recollecting all the details you have given. That is why it is highly important to present your story in the most accurate way. In case you fail to arm your audience with a good story, you may fail to retell it in the future as well. As a founder of your own business, you need to spend a bunch of time in order to inspire people to act! You must hook customers, employees and investors in order to make them interested in what you’re passionate about. Concentration on the details, descriptions and specifications of your business will be totally lost by the majority of your viewers, while an inspiring and touching story about your job and the reasons why you’re so involved into it will surely attract, inspire and motivate your audience. Without a doubt, there is nothing easier than to just compose a bright PowerPoint presentation than to rack your brain and generate a top notch narrative! But every professional storyteller will assure you that all your efforts will turn into the exceptional payoff. 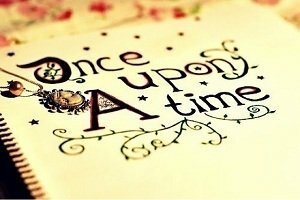 A good storytelling tradition might help you to win the battle for the success of your business!